HELLO! It's been quite a while since I last made a post here in the community, more than half a year ago I think. Wow, time sure flies by now doesn't it. ANYONE STILL REMEMBER ME? I guess I can make a little re-introduction while I'm at it! I'm Ange, joined back in February 2010 (gosh, that's more than two years ago now!) and my main collections are the lovely dragon trios of Creation and Taoism and Arceus. I also sport side-collections of Shaymin (both formes) and Cobalion. You know, it's been so long I've kind of forgotten how you write an entry HEH. The fact that I haven't posted in a while doesn't mean my collecting has come to a stop, it's more like the opposite! My collection has grown quite a bit since.. what can it be now, August last year? Yeah. A large Noppin package, along with some other things, recently arrived so I decided to do a collection update, half-a-year-worth-of-collection-updates update! my name is gin. i am an electric-type pokemon collector. and i have been to ikea recently. recently people ask me, "is that your collection room?" or, "is THAT your collection room?". let us clear the air... i have NO collection room. I HAVE A COLLECTION APARTMENT. to be clear, i have a main collection room, and an auxiliary collection room. here in my house we do not use such common, petty words as "living room" or "bedroom" or "office" or "guest room". it's just, the main collection room, the auxiliary collection room. as i have just re-taken all my photos, re-organized my entire auxiliary room, and re-did a lot of my main room too, let us venture together into my world! Hey everyone! Today I am auctioning off two items, and they are both Pikachu... sorta! 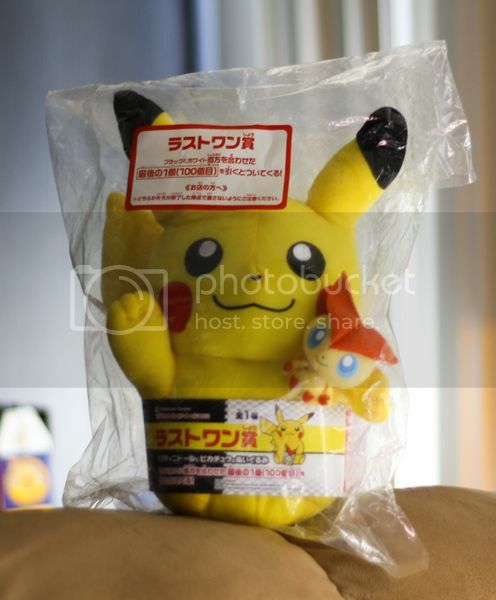 First up is my MIP 7/11 Lottery prize Pikachu with mini Victini plush! 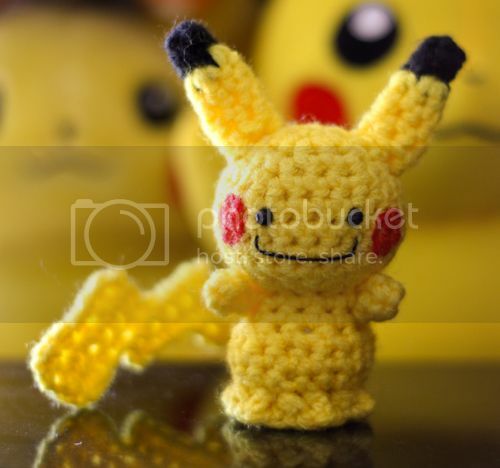 Second is a prototype Dittochu amigurumi handmade by me! More pics under the cut! First off thank you all to those who participated in my GA but not my GB and were SO PATIENT! You guys are the best! I just got the chance to ship them out today! If you really want/need to know why it took so long, it's a personal matter having to do with my younger brother and will respond to upon request when PM'd about it. Either way I've only ever been at school, work, and the hospital (which is no excuse but omg yay! shipped!) Anyways, all US buyers, I added your tracking information on paypal already and non US buyers (there were 4 of you) I guess will get it in due time cause I can't get tracking :/ but can provide a picture of the receipt if you really must have proof it's shipped. Trux couldn't find that attack dusknoir kid :C so I will be taking that off your price (you know who you are). I will edit this post when I'm back home as I'm on a friend's laptop and don't have the list or the bookmarked page so BE ON THE LOOKOUT GA/GB participators!!! It's a commin! Got my envelope's and flat rate boxes ready!!! Lastly, about raikovladi92. I got a message from another user about how they haven't shipped the OM NOM NOM GA out yet... well problem is...I bought a leafeon canvas from them in 3 payment installments...First payment was made February 11th...should I dispute all the payments??? 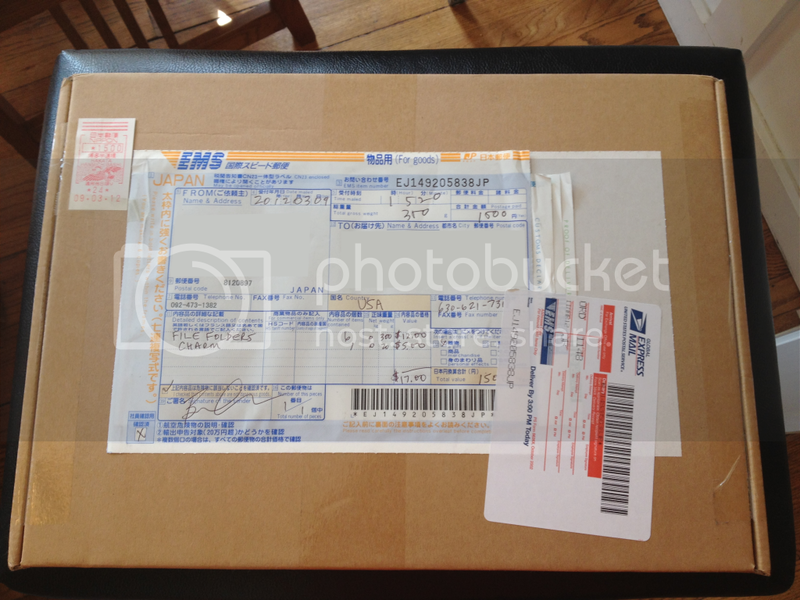 The 3rd payment included shipping for both the canvas and item won from the GA...please help! I really want that canvas as it's the last one I need :C so I kinda don't want the money back and rather have the items but at the same time I don't want to loose 80+ dollars! Help! Collection update! (In part, lol) And a tiny photostory! Hey, everyone! I'm here with a collection update! (Well, part of it, lol I have too much stuff) I was going to wait until I got all of my packages in but some have taken well over a month to even get here so I said screw it and just decided to update now. The bento eraser & metal figs GA is in, hooray! :D Pictures and shipping payment info and fun stuff is under the cut! Also, I've updated my sales post with unclaimed metal figures/coins and a bunch of dome figures and stuff :D Check 'em out! Every BW Pokemon (except Keldeo, Meloetta, and Genesect) are in sticker form waiting for you to buy them! If I have not left you feedback, please let me know! I'm pretty sure I have left it for everyone I have made a purchase with, but there could be that rare instance that I might have overlooked someone. And if you haven't left feedback for me, I'd greatly appreciate it if you took a minute too. :') Thanks for viewing! On a related note, does anyone know how long it takes, in general, for you to get your stuff from SMJ after your auction ends, assuming the buyer doesn't waste any time (pays right away, requests shipping right away)? ^it's funny because it's a pun. Until next time, I leave you with this hilarious foamy bootleg thing I found in an antique shop in Salem, MA. I'm searching for a Squirtle and also a Team Rocket cel, if anyone knows where any might be available for sale, please let me know. Thanks! The link is here for any who are interested! Thanks. If anyone noticed at all, this lot was up on ebay for a day before I took it down, as the previous version had an assembled Reshiram Plamo that I didn't feel safe about shipping with so many things. But! 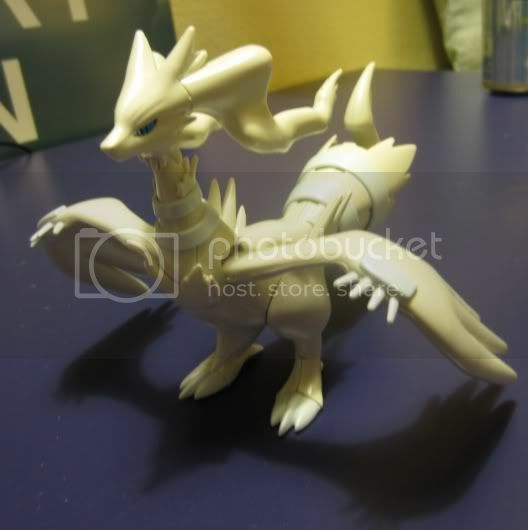 IF anyone IS interested in said assembled Reshiram Plamo, let me know? I can do $9.00 + shipping. And have a wants plug. Ground-Type Pokemon cards, I still need them! My list has reduced substantially to about 15 pokemon so if you have a moment to check it out, please do. As of right now we are winning the Grimer lot,the Shaymin lot,Barely the Reshiram Lot,Barely the Dialga lot,Barely the Spoink lot,and Barely the Plusle lot. 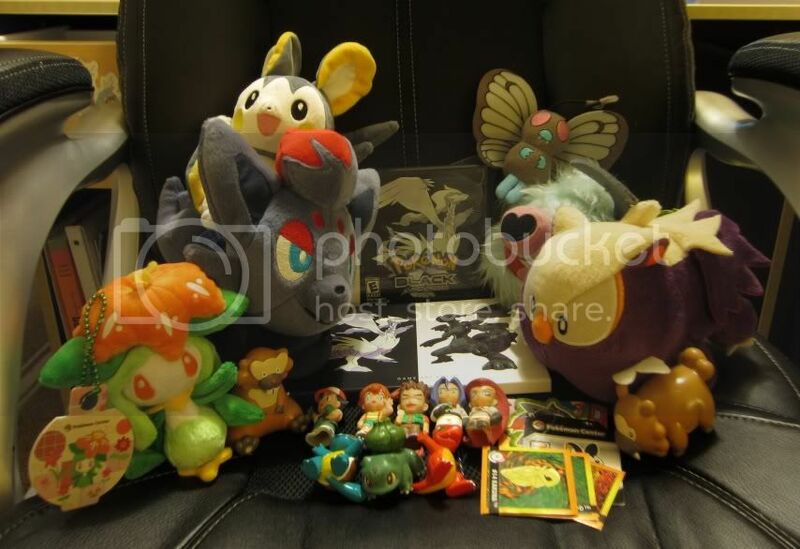 I had some more Pokemon plushes come in the mail, and so I decided to take more photos. Also, after seeing a few photo stories posted, I was inspired to make my own. Check it out. So yeah, you know how sales goes around! For people who won Pokédolls from my Pokédoll auction, almost everyone's packages have been shipped! The only person's package who hasn't is isaacelgyem, as I'm waiting to hear back from you to give you a grand total - send me a message when you get the chance! For the two people who participated in my Sapporo 1st Anniversary Charm set group buy, the charms have arrived with my package! 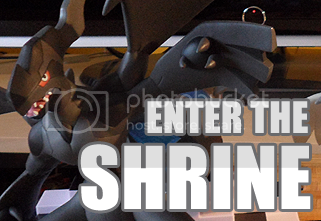 They have both been shipped out today also - shirohikarikaze, your Raikou Pokédoll is there too - and some pictures I took can be seen below!